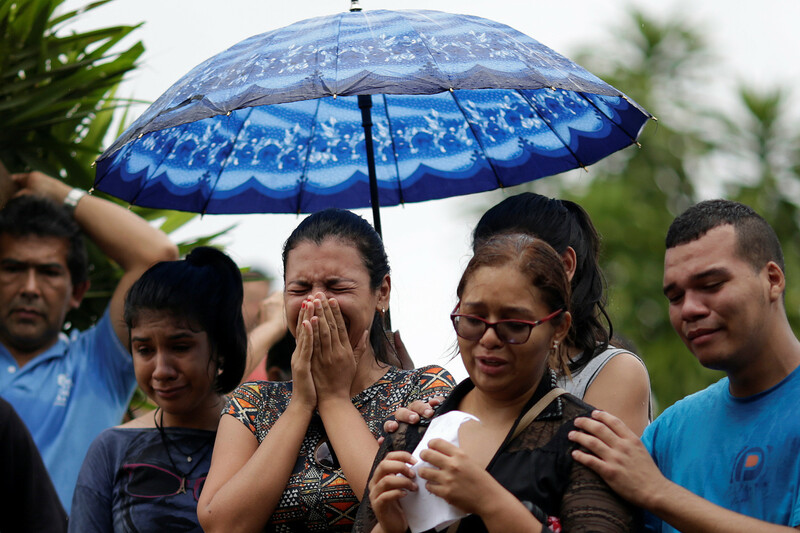 The horrors of Brazilian prisons are notorious. 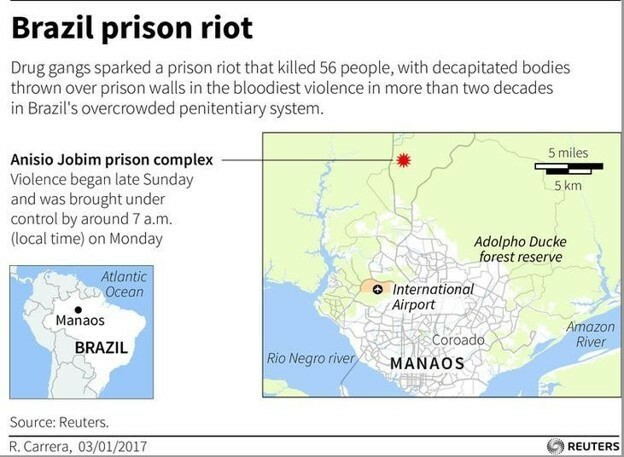 Brutality, endemic violence, riots and severe overcrowding have given Brazil the ignominy of having one of the worst penal systems in the world. In January 2017, a turf war between rival drug gangs left 56 inmates dead. By the first 20 days of that year, 130 prisoners had died as a result of widespread violence. Sometimes the only way for guards to regain control in a prison riot is to shoot the ringleaders dead. Brazil’s prison population is close to 700,000, one of the highest in the world, beaten only by the US and China. Its system is heaving under the pressure of an occupancy rate some 165% higher than its structures allow for. Some cells are packed so tightly that prisoners have no room to lie down. 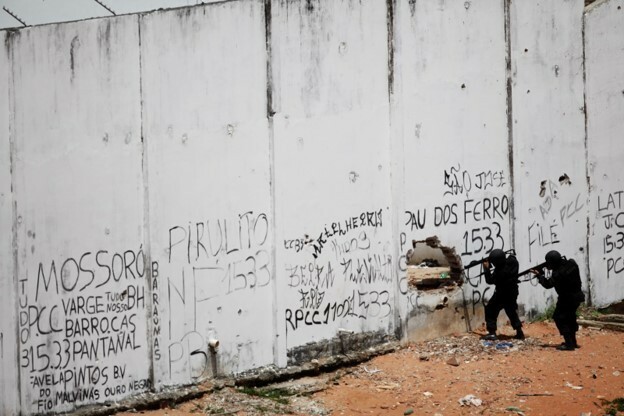 Unsurprisingly, the recidivism rate of Brazilian prisoners is also sky high – around 70%. Valdeci Ferreira is part of a long-standing mission to change all that. He is director of the Brazilian Fraternity of Assistance to the Convicted (FBAC), a non-governmental, non-profit organization that oversees a private faith-based and privately-owned prison system: the Association for the Protection and Assistance to the Convicted (APAC). The APAC prisons are so radically different to the traditional system, that the inmates are given the keys to their own cells. According to Ferreira, the majority of prisoners have a chaotic, and often violent, family background, they can lack even the most basic education, and struggle to get access to jobs. Drugs and addiction also play a huge role. This, and the consequences of mass incarceration, helps to explain why so many prisoners go on to re-offend. Conditions can be so inhumane that prisoners are released a hardened – and more criminal – version of their former selves. Most are shunned by society and cannot get a job, making a relapse into crime almost inevitable. Ferreira was moved to act during a prison visit with his local church group in the 1980s. What he witnessed horrified him. Concluding that the state system had more or less abandoned its prisoners, Ferreira decided to do something about it. While researching what he could do to effect useful change, Ferreira came across APAC, a form of incarceration that had successfully put prisoners back on their feet. At the heart the program is the idea that everyone is capable of change – given the right opportunities. 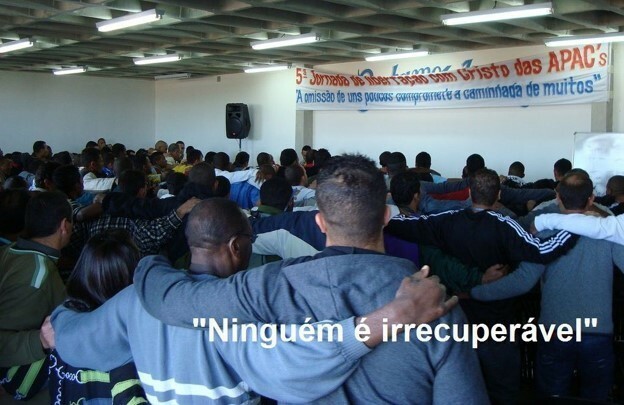 “APAC (prisons) in Brazil practice an alternative methodology of incarceration and rehabilitation, humanizing the punishment and preparing offenders to re-enter society,” he explains. An inmate is referred to as a recuperando (recovering person). The day starts at 6am and is organized around work, study and community. It ends at 10pm, and prisoners return to their cells only to sleep. Jobs are diverse – involving crafts, tending the vegetable garden, baking, carpentry, and kitchen work – and are divided among the prisoners. Under the program prisoners must also study. Some begin the primary education denied to them in their youth, others study at middle school level, or take vocational or university courses. In their free time, they play sports or participate in creative arts and attend lectures. Religious instruction is given to those who choose to follow it. APAC prisons are clean and the food is healthy. Everyone is known by name rather than number and there are no drugs or cell phones, and no overcrowding. With the keys to the prison in their hands, it’s hard to imagine how the APAC system doesn’t have a problem with escapees. Ferreira says that, when one prisoner was asked why he did not escape, he replied: "Nobody escapes from love". Alongside the structured routine, instilling a sense of responsibility and supporting the prisoners ready for their release are key elements of APAC. Slowly, the prisoners begin to understand the impact of their crimes, not just on those in the immediate vicinity, but in the entire community. With vocational and professional training under their belt, a continued relationship with their families – the system also provides support to the families of inmates – as well as legal and health assistance, the prisoners are far more prepared for the outside world. APAC prisons are showing results that the traditional system can only dream of. Recidivism ranges between 7% and 20%. The cost to the public purse is one third of that spent in state prisons. No weapons, rebellions or acts of violence have ever been recorded in the system’s history. It has taken years of volunteer work and sheer determination to get the APAC project to where it is today. Currently, APAC serves about 3,500 prisoners, a drop in the ocean of Brazil’s prison population. It estimates that it has helped almost 45,000 since 1972. 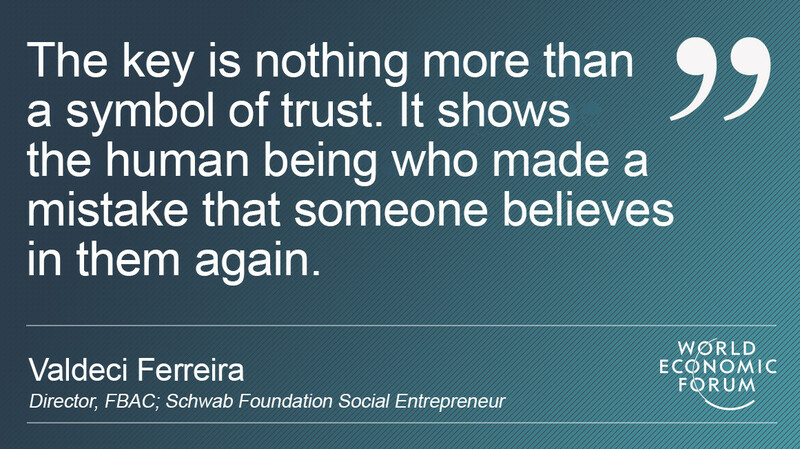 In 2018, Ferreira was awarded Social Entrepreneur of the Year from the Schwab Foundation for Social Entrepreneurship in recognition of his efforts. 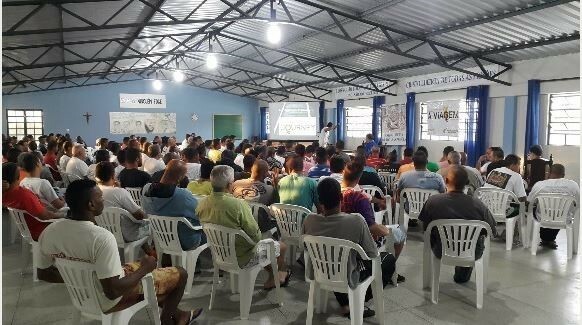 The goal of FBAC is to have APAC prisons across Brazil, but it needs further funding in order to do so. There are currently 50 units in operation around the country. The project’s overseer – FBAC – relies on scarce resources given to it by the state along with sporadic charitable donations. APAC prisons rely on funding from the regional governments which partner with the organization, but this doesn’t cover all their costs.